Crafted from stainless steel, this attractive bracelet boasts a minimalistic yet modern box chain design in a sleek silver shade. 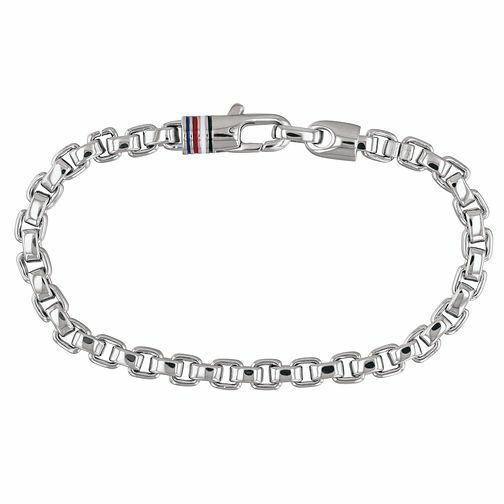 With an easy to use clasp, the Hilfiger flag is embellished in enamel upon the clasp. This bracelet measures 21cm.